1. To book your VFS Global appointment you need to register it from "New User Registration", If you already registered then just click "Login". - For registration you need to enter your details like First Name, Last Name, Email ID, Contact Number and your Password, then submit. Activate the account via received email, then login. 2. Once you Logged in, You can Schedule your Appointment with one of VFS Global centers available in Batha or Umm Al Hammam in Riyadh, Tahalia or Hail Street in Jeddah, Dammam, Al Khobar and Jubail. 4. 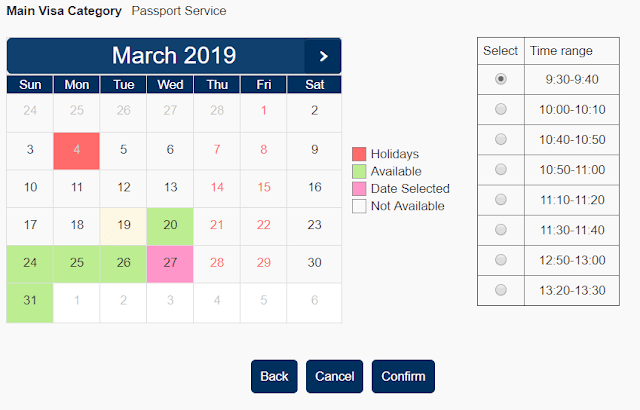 In the next screen you need to click on "Add Applicant" to mention your Passport Number, Date of Birth, Passport Expiry Date, Nationality, First Name, Last Name, Gender, Mobile Number and Email ID then click on 'Continue'. - Try to be there few minutes before your appointment with the print you taken, Submit your passport or visa application at the counter.